Members of the CMRRA enjoyed a fun filled weekend on Feb. 18-19, 2017 at the Great Train Expo in St. Charles Missouri. 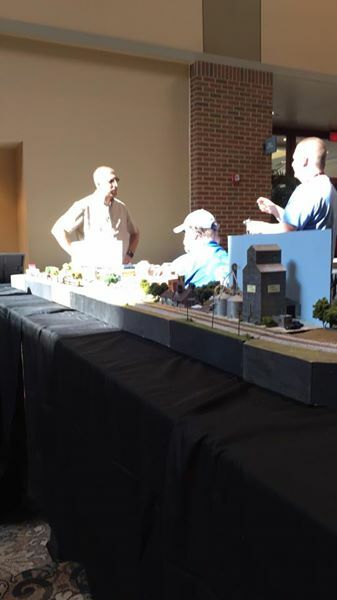 We had our T-Trak layout set up and running and got to meet a lot of people who were interested in model railroading. We set up for the show on Friday, Feb. 17 with 4 members there. They included Mike D., Eric G., Robert B., and Chad A. It took just over one hour to have everything up and running and then we got to venture around and check out what the vendors had for sale. A little pre pre-show shopping if you will. Then we ran trains on Sat. and Sun., not to mention we all did a lot of shopping and I'd say spent some money. There was a few different trains ran on the layout throughout the weekend. Including a couple of new engines that were bought by club members. 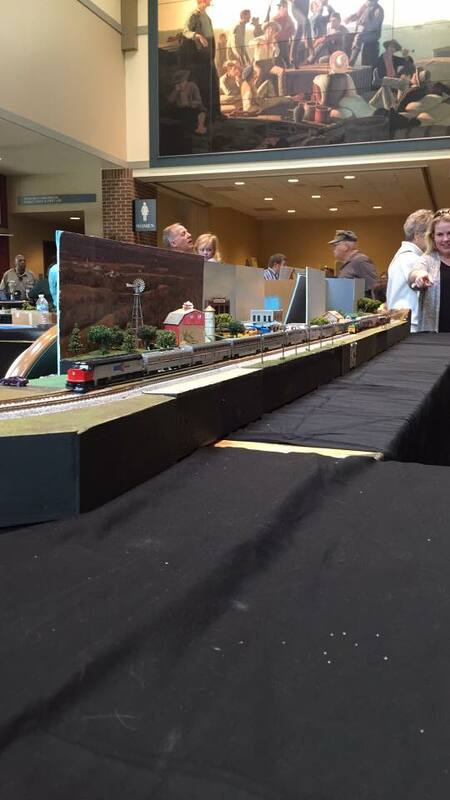 Throughout the weekend, other members of the club showed up and help watch the layout and talk to visitors. We was lucky enough to feature 3 new modules at this show from three members of the club that aren't into N-scale but wanted to build a module. So thus, our layout this year was the biggest it had ever been. We also got the chance to talk to a lot of vendors about our upcoming show in Oct and the Hell on Wheels days. A lot of people did seem interested about it. For more info about that show, go to our events page and click on the link. All in all, it was a really good time and we can't wait until the next show that we get to set up the T-Trak and run for the public to view. Thanks to Jeff H. for the pictures from the show. We are currently working on our annual train show that will be called Hell on Wheels Days. As we let out more info, it will be shared on the page for the event. Just click on the link in the main page to find out more information.